Salon du Chocolat World’s Largest Chocolate Show - Mmmlingerie. A Taste of Beauty. 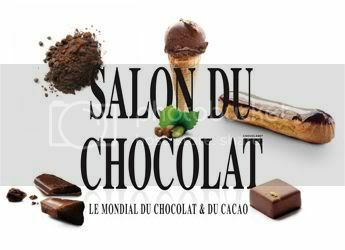 200 leading chocolatiers, and pastry chefs to help this dream come true. Also, you'll find about 400 experts for any questions you might have. Tickets: available at FNAC or Virgin stores or at the door, but the lines are long and advance tickets are recommended. @Primadonna, it’s not Christmas yet! You wrote that in a sugar rush, or what? Haha.